The 85 special edition (85S) is another striking design from the Italian Arcadia yard, but does it deliver on all fronts? Alex Smith reports. 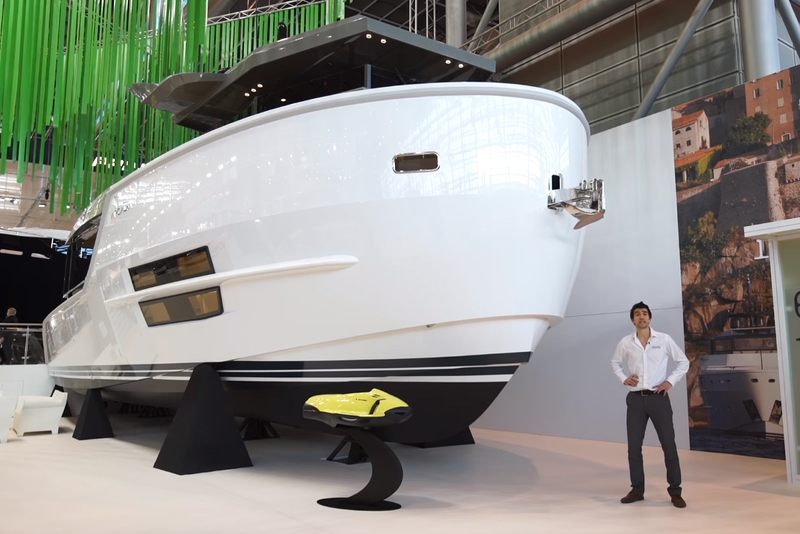 Implausible though it might seem, the yard that brought us the extraordinary Sherpa motor yacht at January’s Dusseldorf Boat Show, is already back in the news, with a special edition model of its 85-footer. Like the Sherpa, the Arcadia 85S boasts some very distinctive looks, an extremely generous beam and a versatile three-deck layout, but unlike the Sherpa, it uses striking linearity of design. That is evident not just in the near-vertical bow, but also in the superstructure, where vertical sides and a proliferation of right angles help increase internal space, which is optimised with floor-to-ceiling windows and freestanding furniture from renowned Italian brands like Poltrone Frau, Cassina and B&B. The 85S is the latest highly distinctive design from Italian yard Arcadia Yachts. 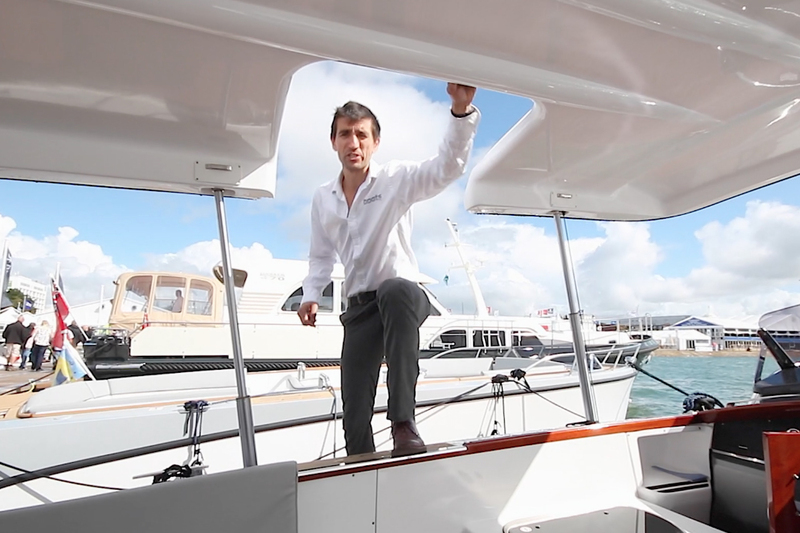 The 85S also shares the Sherpa’s clever flybridge solution. It employs a complete, 360-degree arc of windows that can be raised to meet the hard top, entirely enclosing the ‘sky lounge’ for climate-controlled comfort, whatever the conditions. 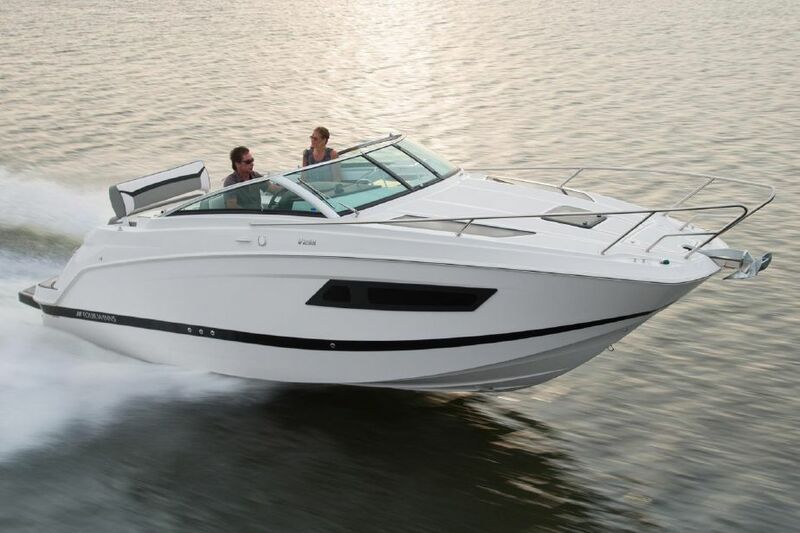 It also features a secondary helm, alongside sofas and coffee tables, as well as a wet-bar and sundeck. 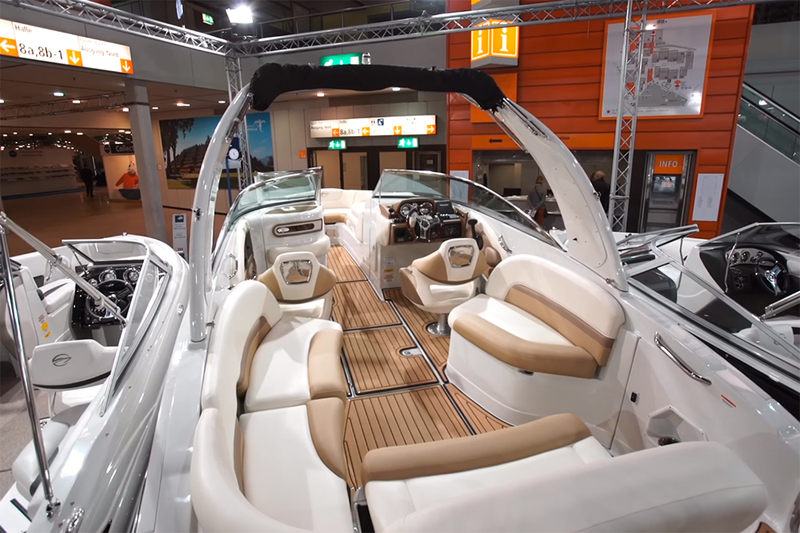 On the main level, in addition to an eight-man saloon, the four-cabin 85S offers an 8.5-metre open aft-deck lounge, with a well-protected cockpit, optimised for dining and sunbathing. 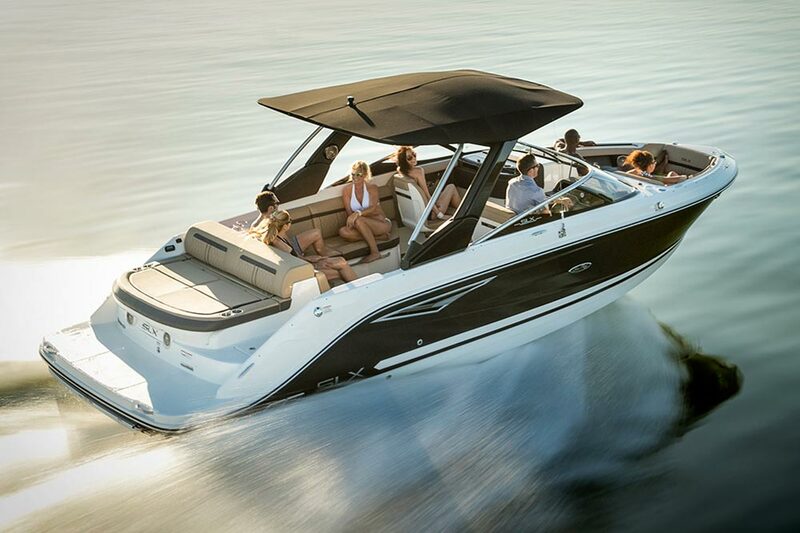 There is also a tender garage with sufficient room for a four-metre tender and a two-seater personal watercraft. 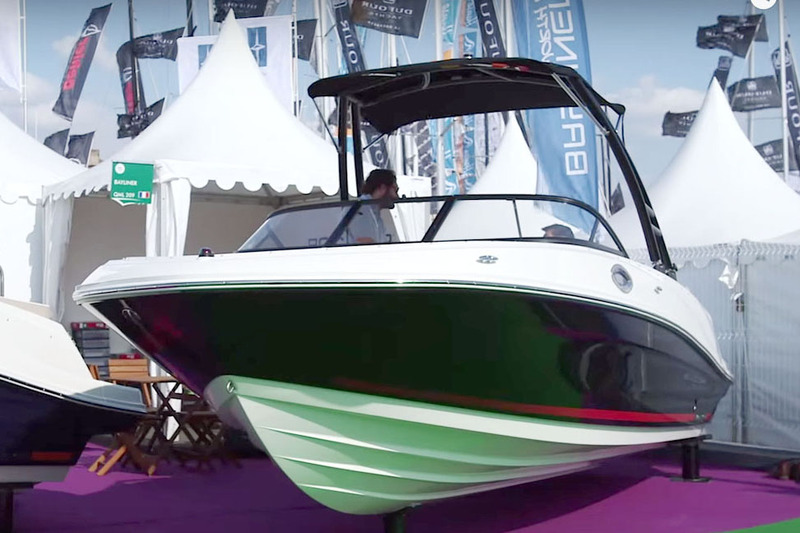 With its semi-planing hull and lightweight aluminium superstructure, the 85S is also designed to be a very efficient runner. 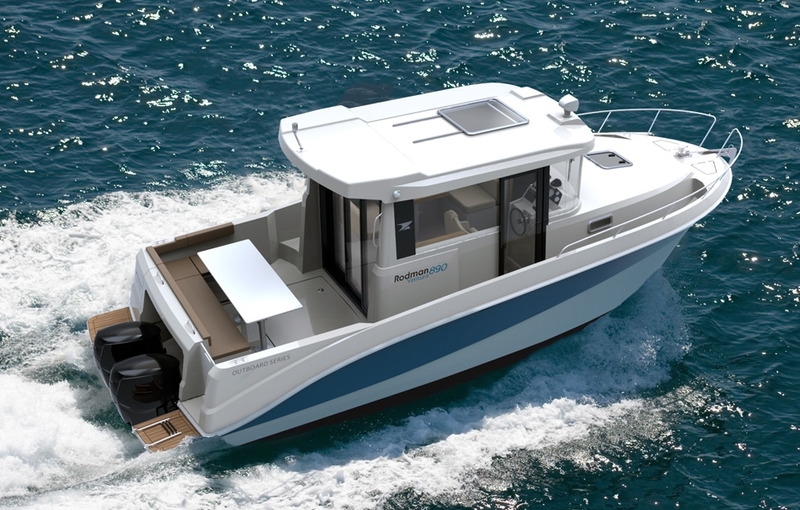 It comes with either twin MAN R6-730 diesels or optional 1000hp units, enabling a top end of 18 knots, a fast cruise of 16 knots and a maximum range of around 850 nautical miles at 12 knots. 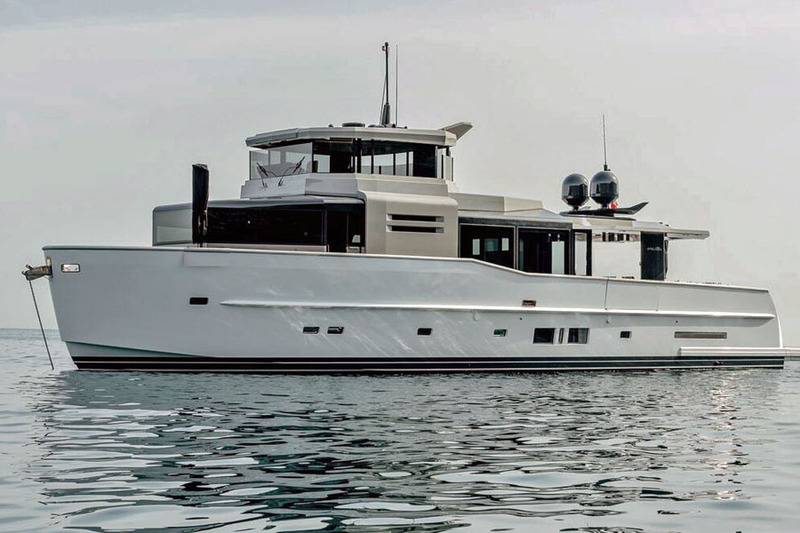 And as you might expect, this beamy long-distance motor yacht also pays more than a passing nod to sustainability. The 85S features “latest generation” solar cells, fitted between the double-glazing layers on top of the largest part of the superstructure. These can reportedly supply up to 3.5kw of energy, which means that, assuming you don’t use the energy-sapping air conditioning, you can avoid the noise, vibrations, emissions and expense of running your diesel generators every time you anchor up. For more "on-trend" new yacht designs, see: Boating trends for 2016 and Christian Grande launches superyacht.